ST. LOUIS, Mo. Ken Fancis owner of Burromax Mini Bikes joins the crew of Motorhead Garage to discuss their new line of electric mini bikes. Burromax offers electronically chargeable lithium battery bikes. Motorhead Garage aires on Velocity TV, MAV TV and Rev'n TV every week on Sunday's, Wednesday's and Friday. ST. LOUIS, Mo. 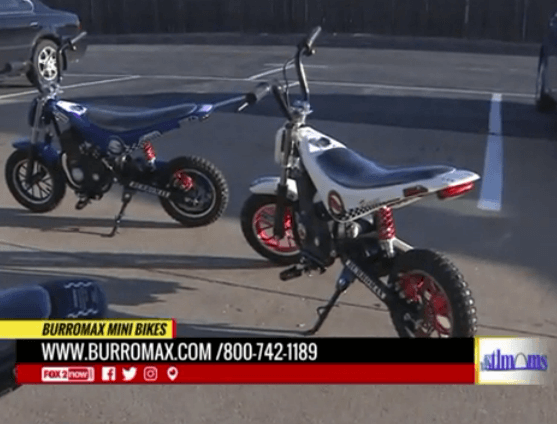 Ken Fancis owner of Burromax Mini Bikes joins us this morning to discuss the perfect Christmas gift for you and your family. 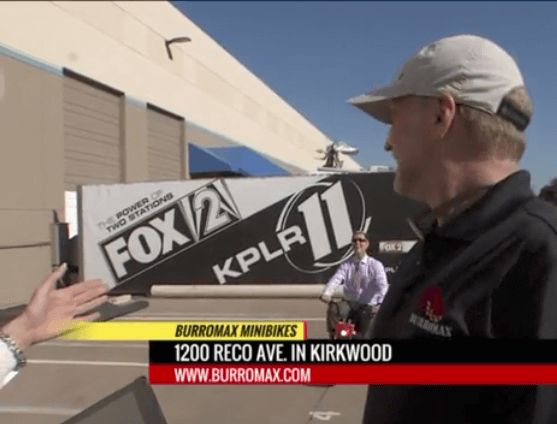 Burromax offers electronically chargeable lithium battery bikes. The locally owned bike shop is offering a discount for Fox 2 viewers on the TT 350 R for only $449.95. During the checkout process, put FOX2 in the promo section to receive the discount! ST. LOUIS, Mo. Give the kids a gift this holiday season that gets them out of the house. Locally owned Burromax Electric Mini Bikes is offering it’s Black Friday special all week long on select models. Get the TT 350 R, TT 250 R or ED 350 for 20-percent off, plus free shipping or assembly with warehouse pickup. These start at $459 down to $319, with the savings. It has a fast recharge time, is light weight and carries a 145 pound to 250 pound rider. There is a limited quantity of some models and colors. Prices are good through November 27.